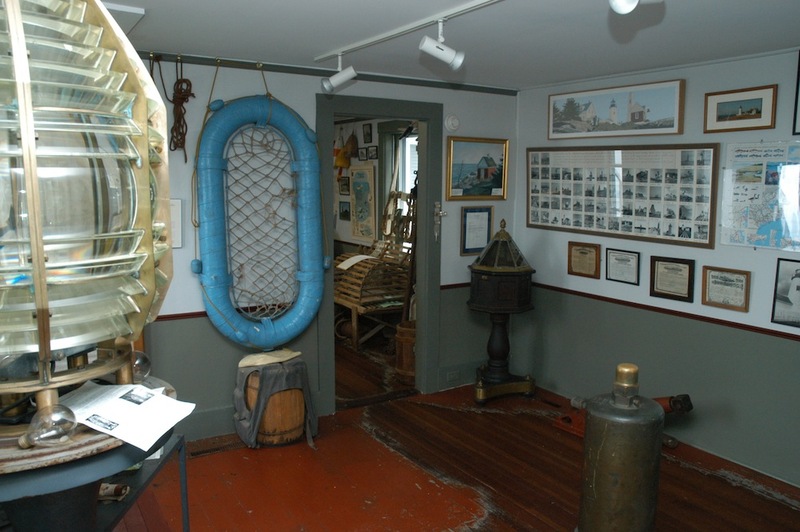 The first exhibit in the museum is the Navigation Room where we have an old Fresnel lens similar to the working one presently in the lighthouse, along with photos and charts showing all of the lighthouses along the Maine Coastline. 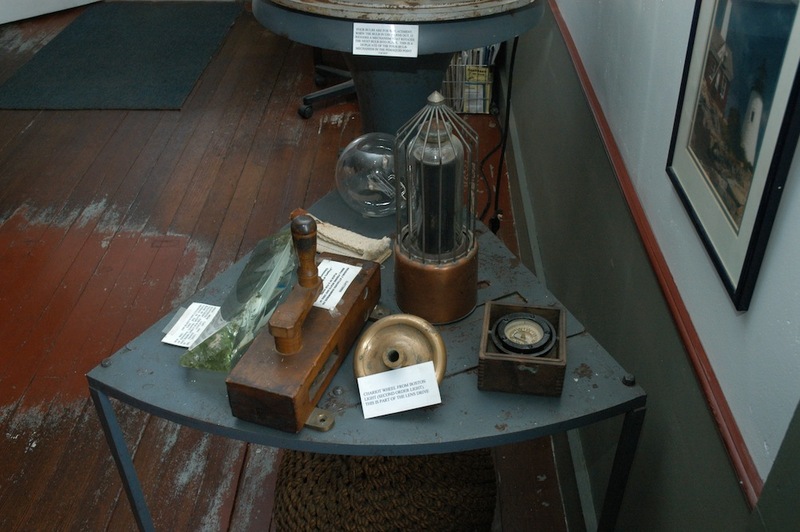 Also, buoy lights that can be thrown into the sea where they stay lit and afloat, a chart table with original equipment, a unique “whistle buoy” that looks like a torpedo and was powered by the waves to produce a sound by a mysterious partial vacuum mechanism. 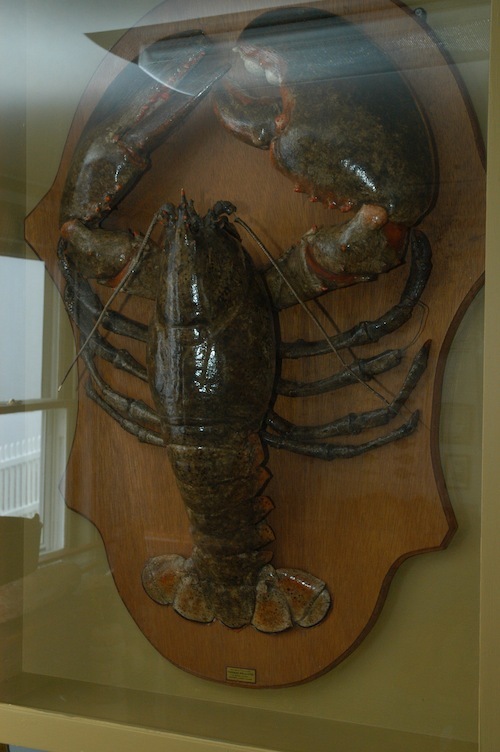 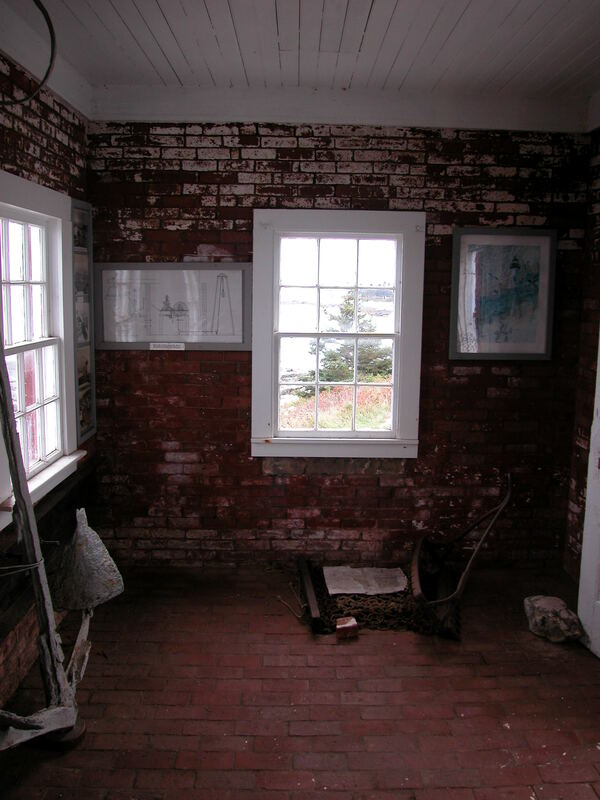 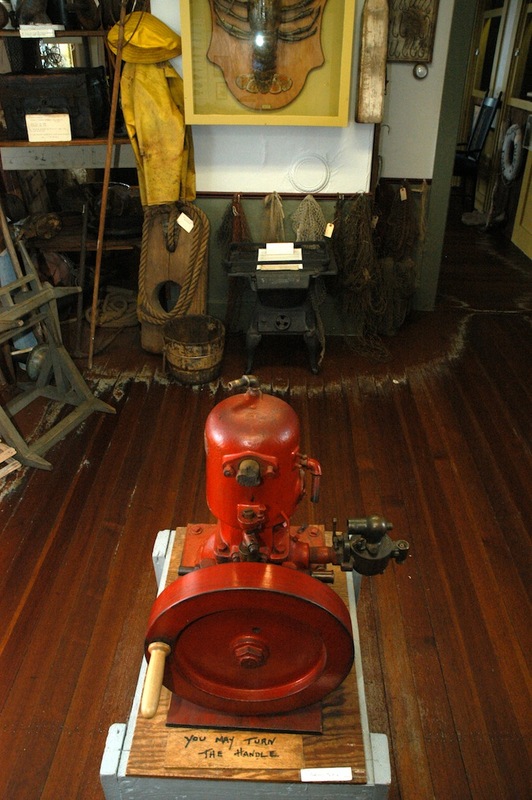 In the Fish House Room there is a ‘make or break’ three-horsepower engine, the first form of power other than sheer muscle used by lobstermen. 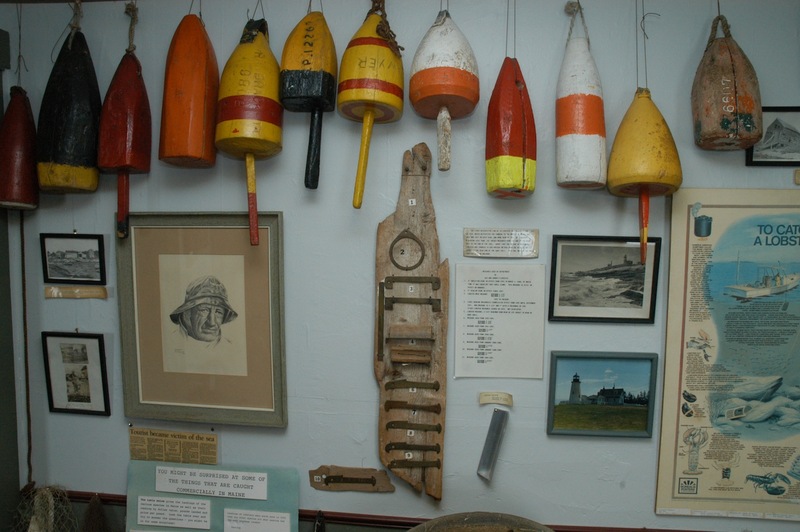 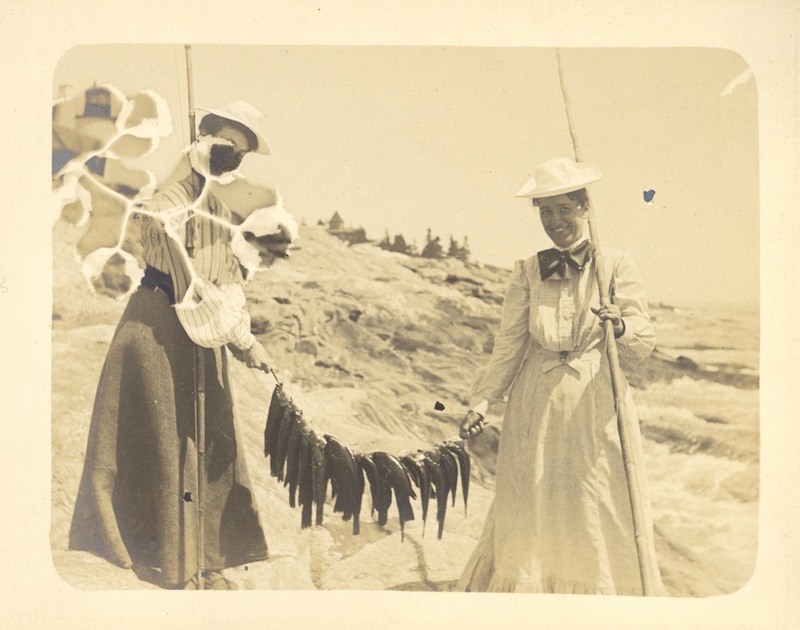 It was introduced in the early 1900’s and many lobstermen distrusted it, always carrying oars that they could use to help the engine along. 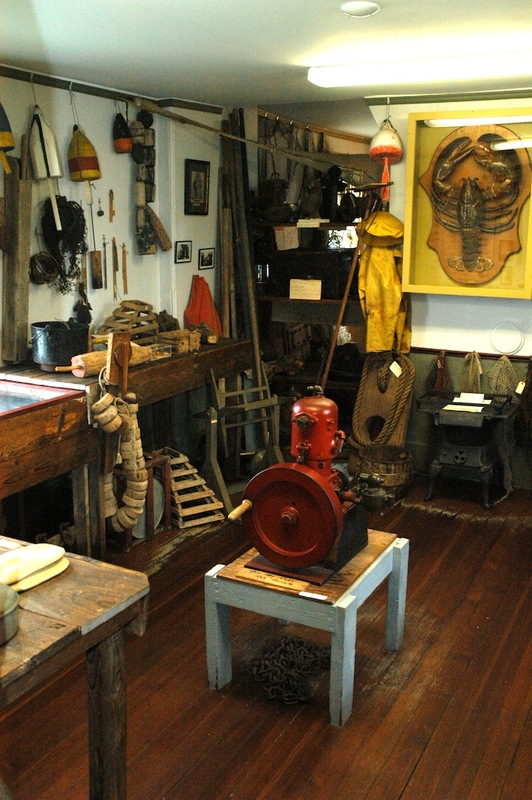 A really handsome spot in this room is the corner that contains the ‘tools of the fisherman’, displayed around a replica of an early fish house workshop. 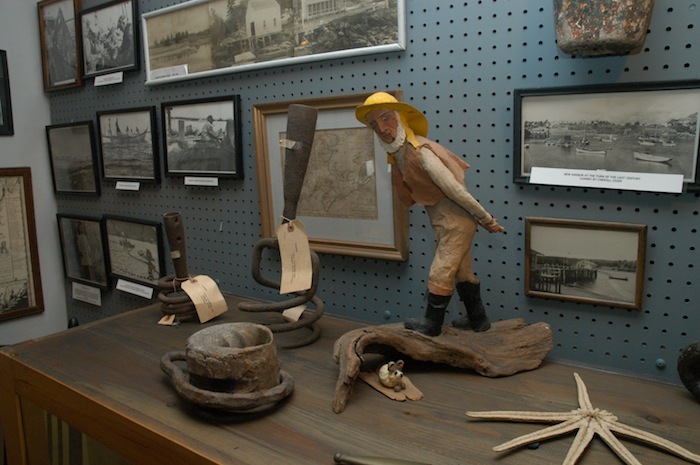 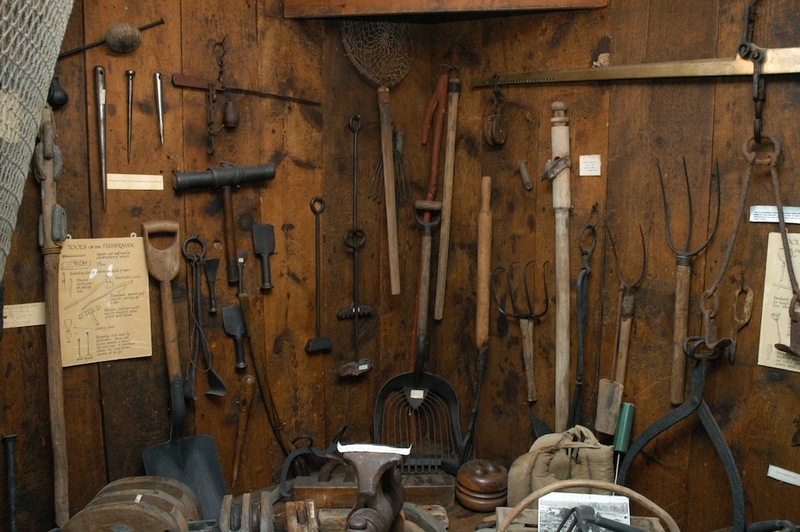 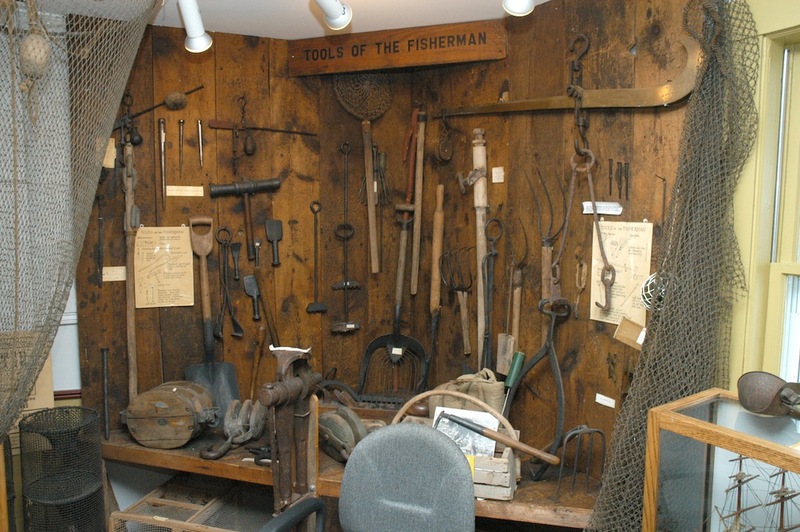 Here are many of the original tools used to make the wooden traps and other fishing gear that were commonly used 100 years ago. 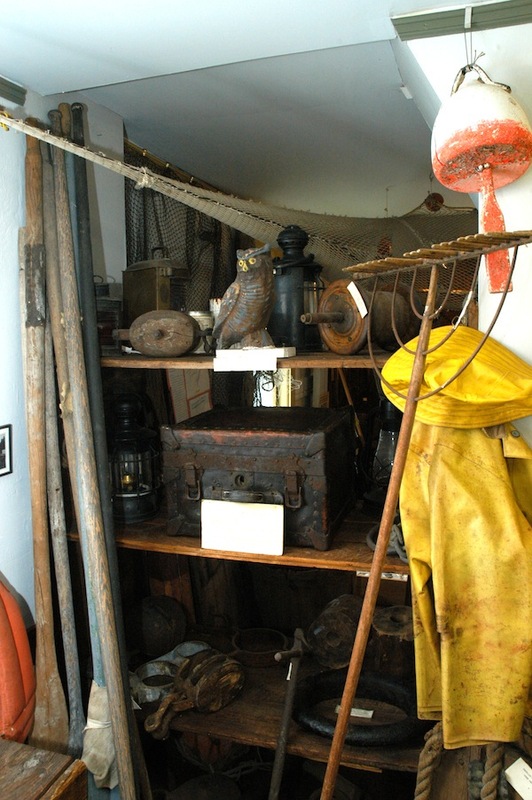 The Net Room is a showcase for fishing tools: nets, implements and traps used for harvesting at sea. 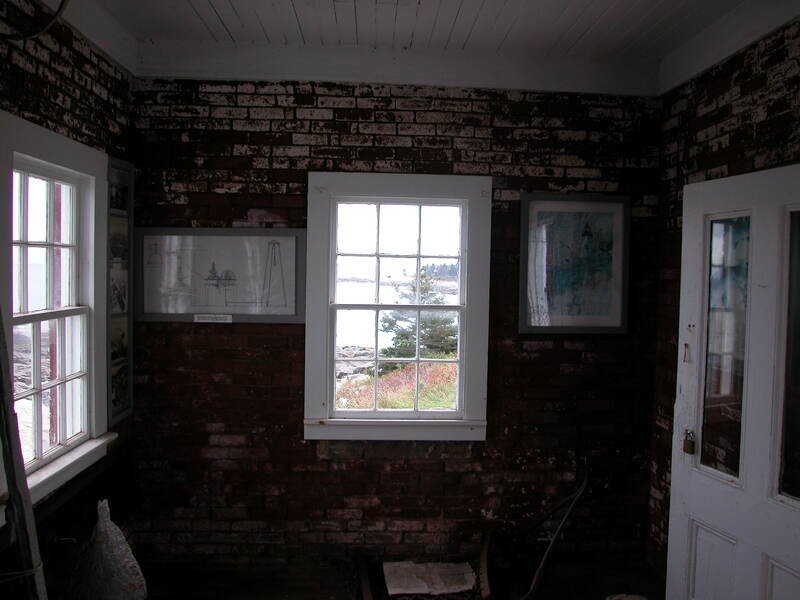 It has a model of a fish weir, first used by Indians and then in general use in Nova Scotia by the 1700’s. 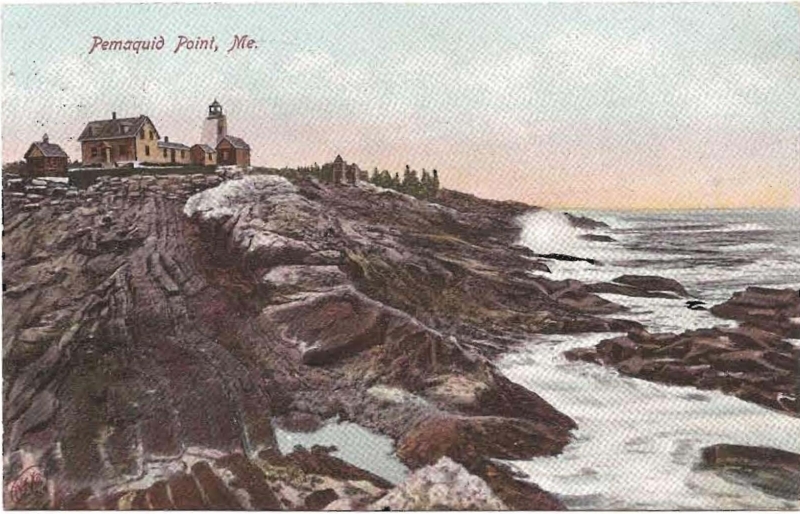 The weir came to Maine about 1820 and has been used here ever since. 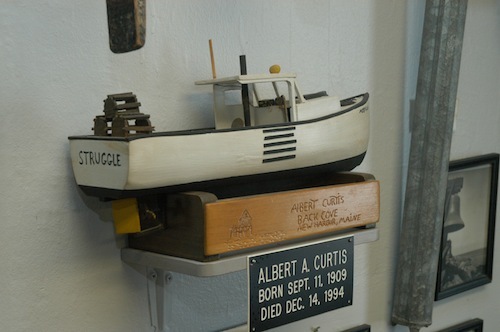 This model is in memory of Courtland Brackett, a former fisherman from New Harbor. 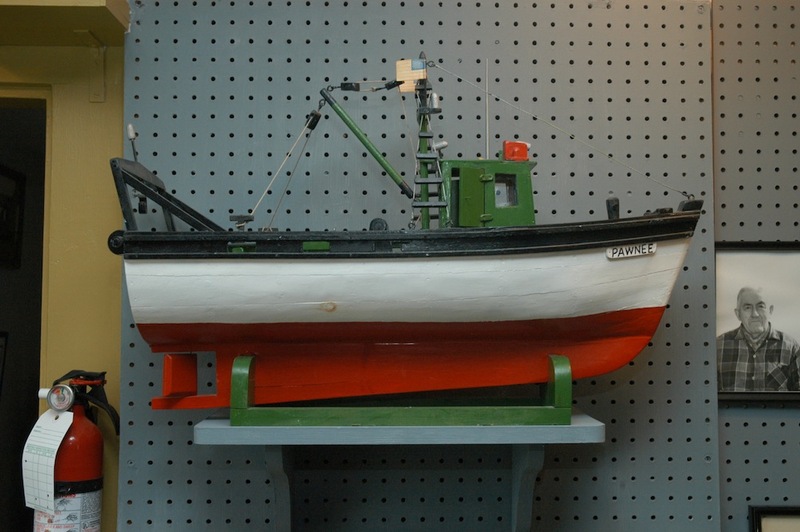 There are also models of fishing boats, lobster boats and smaller boats, all donated by fishermen or their families. 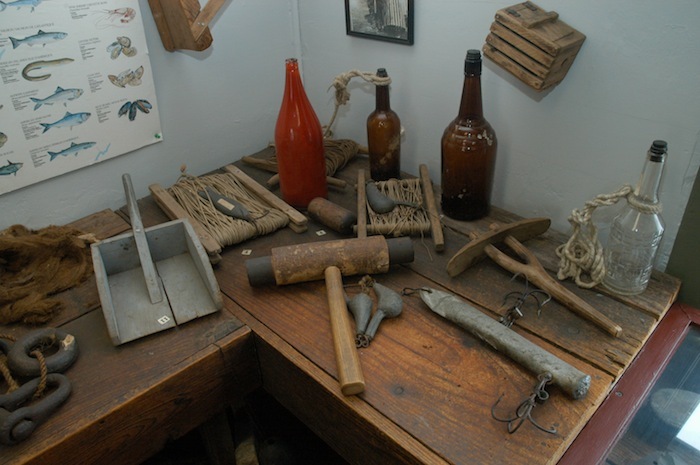 We have a hands-on sand box with a continuing supply of shells and marine life for children to explore. 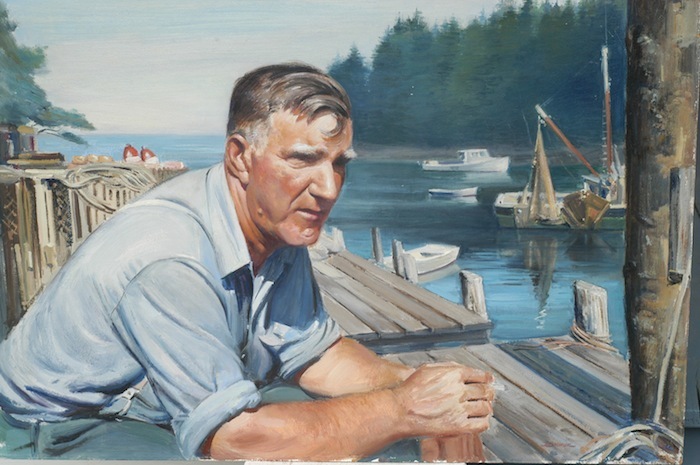 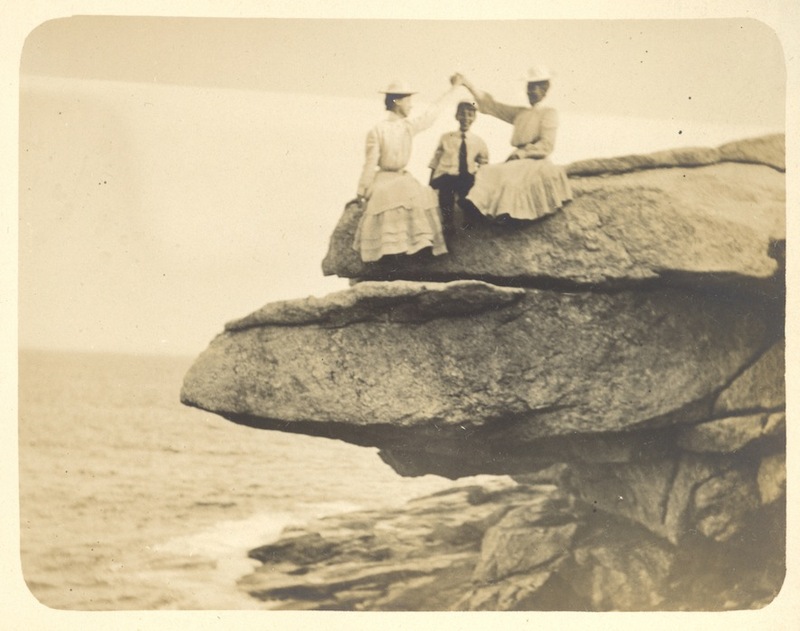 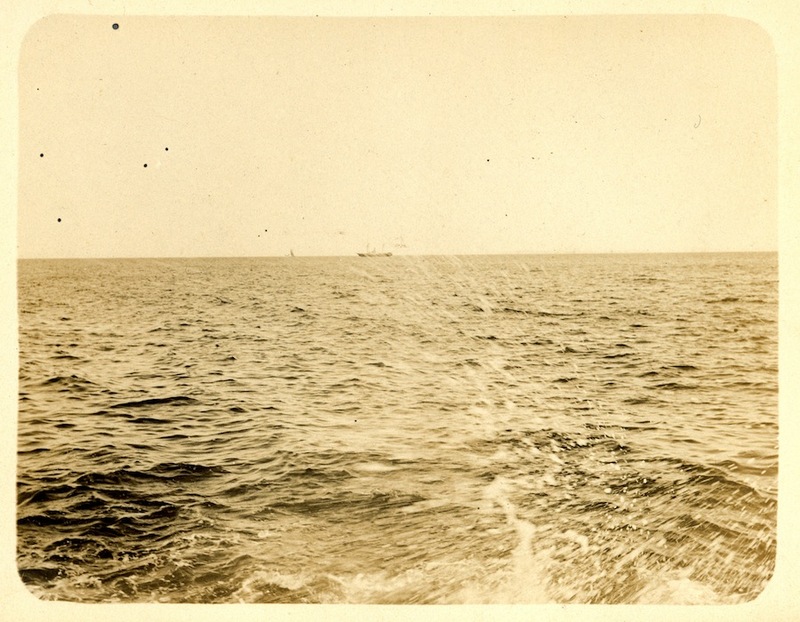 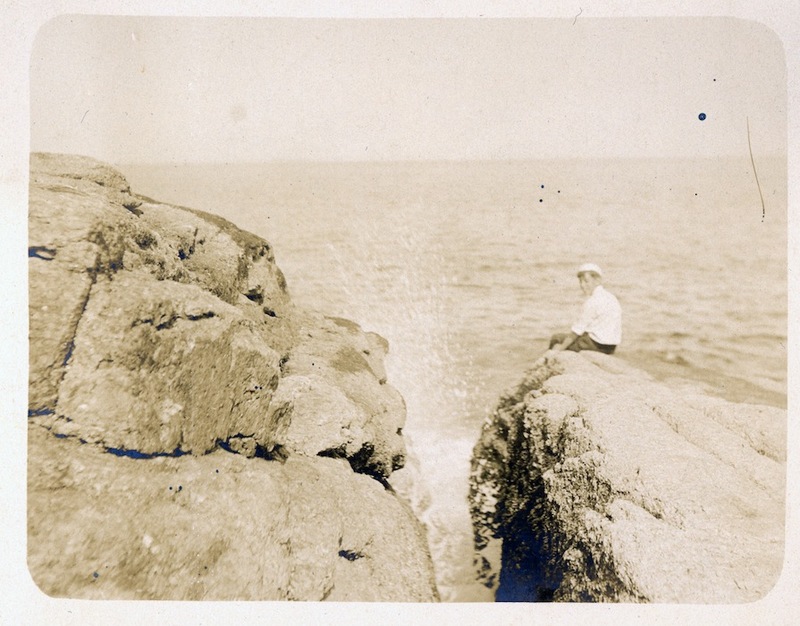 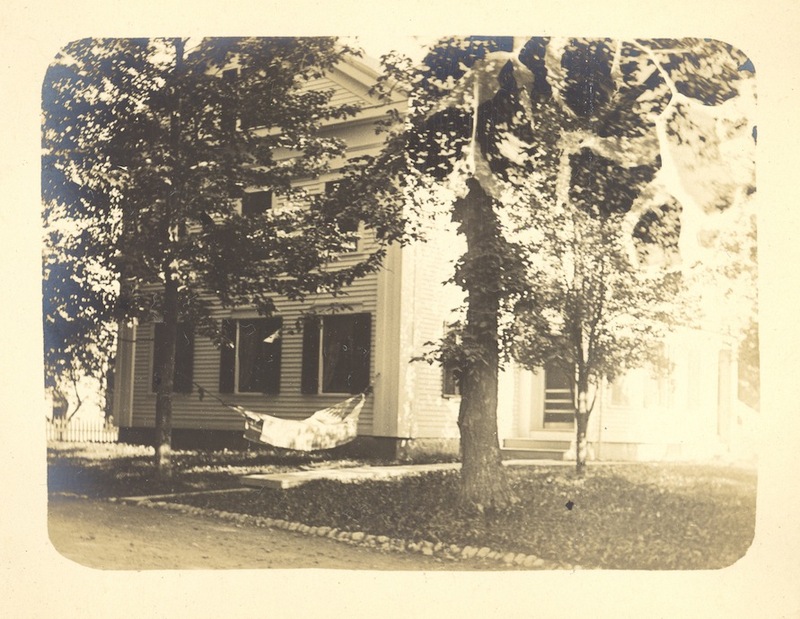 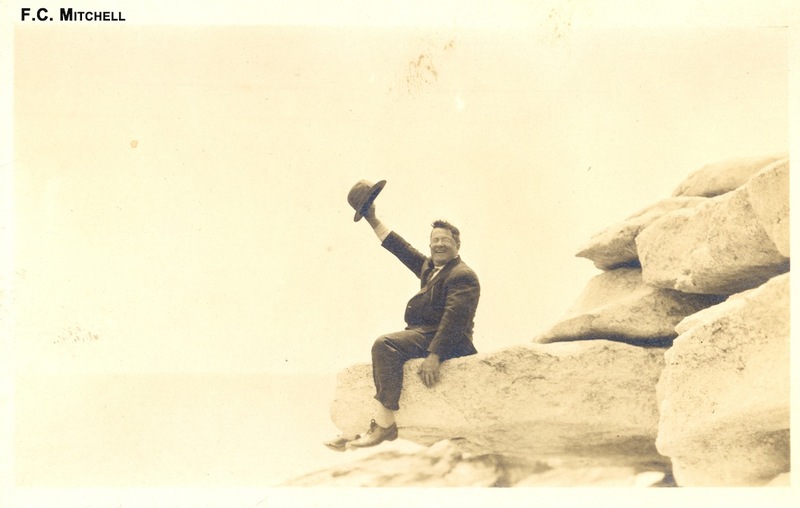 In the Gallery Room, among all the old photographs is a series honoring Harvey Gamage, master boat builder of South Bristol along with photo’s of the launching of the schooner ‘Harvey Gamage’. 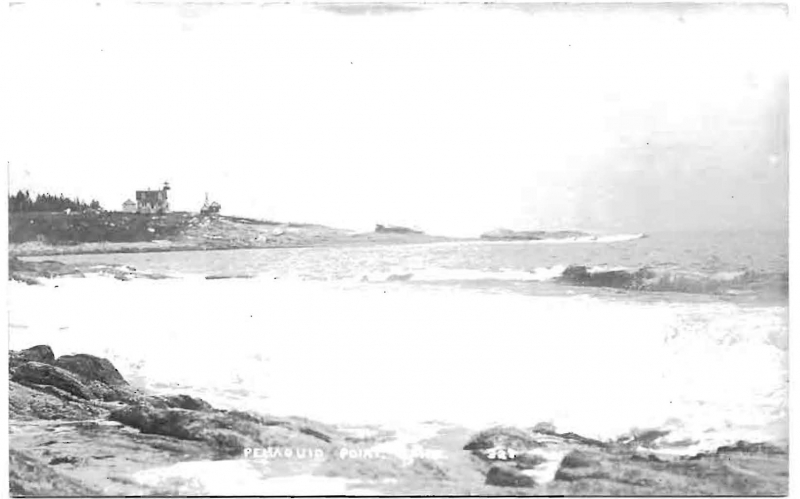 Also, articles and photographs of the shipwrecks, starting with the ‘Angel Gabriel’ in 1635, along with a copy of Richard Mather’s writings of his own voyage on the accompanying ship, the ‘James’, which rode out the storm at the Isle of Shoals. 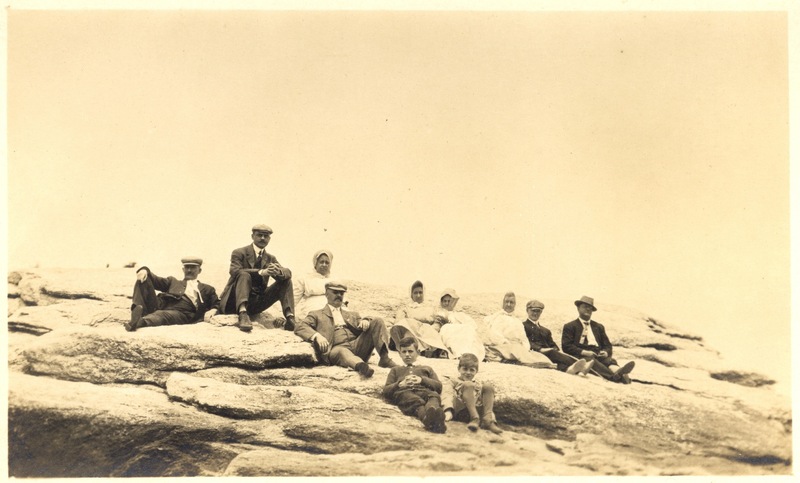 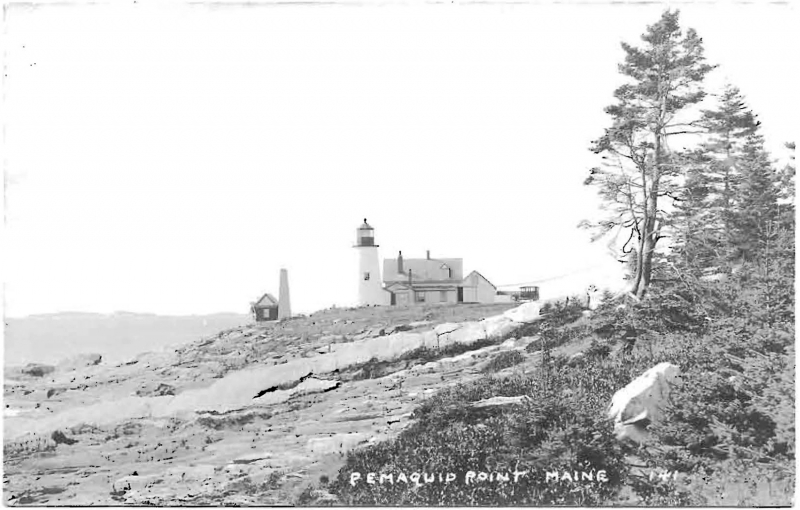 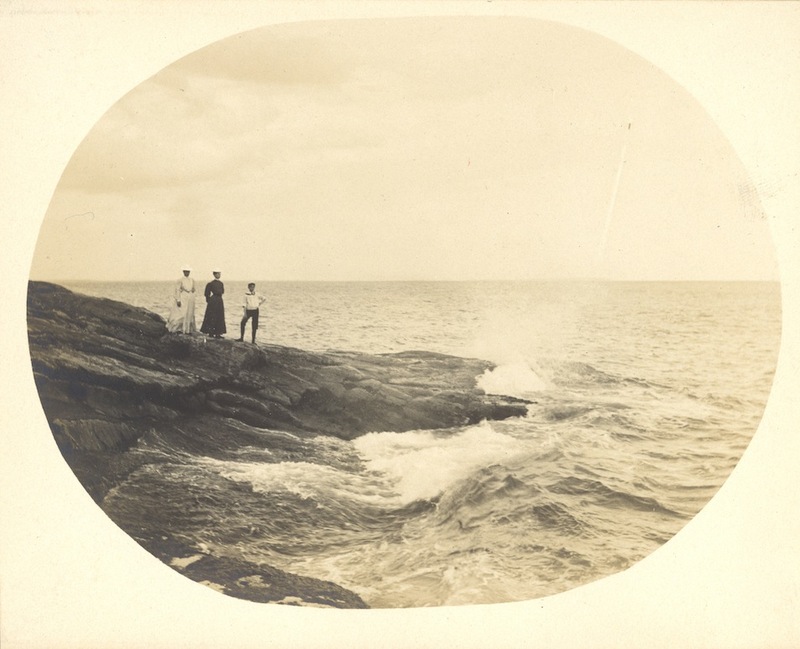 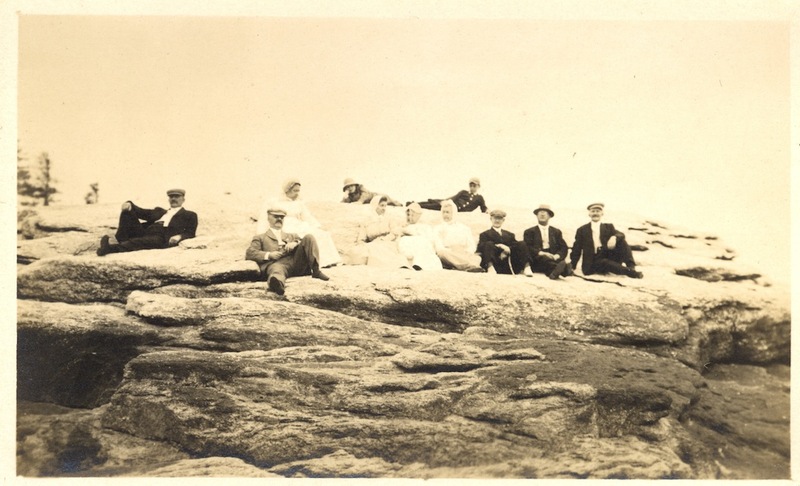 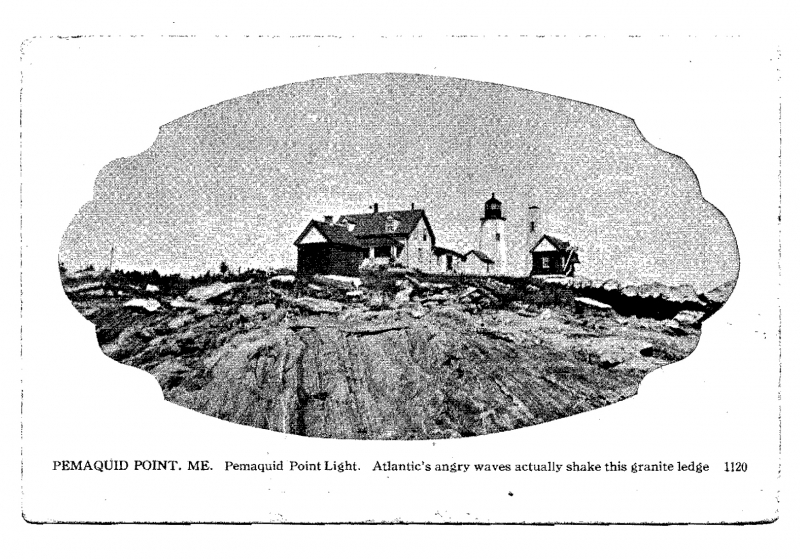 For a time, the Pemaquid Point Lighthouse burned sperm oil, a high quality oil that burned bright and evenly. 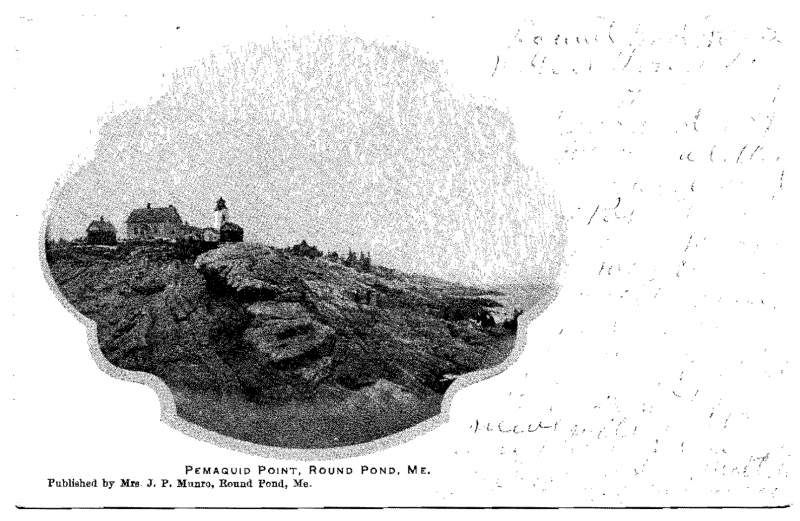 An 1863 receipt shows that 86 gallons of sperm oil and three rods of lamp wicking were delivered to Pemaquid Point. 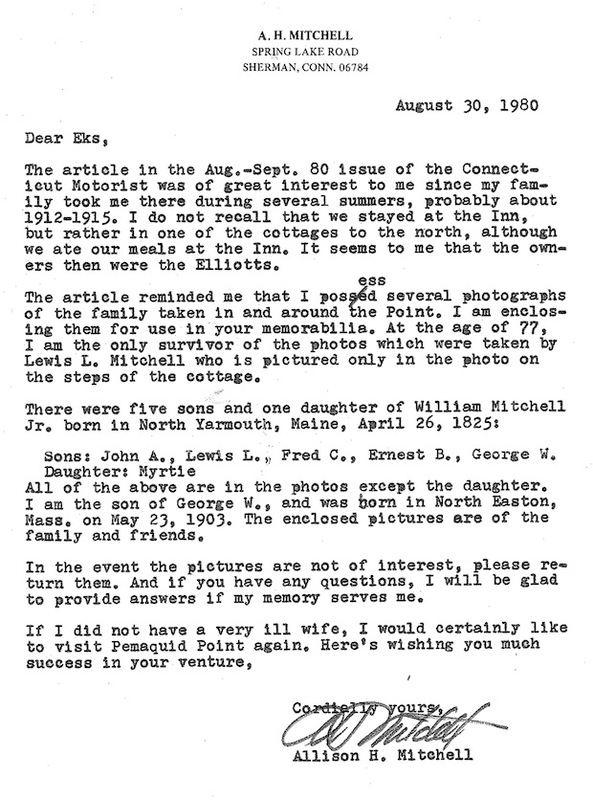 Shortly thereafter, kerosene was burned. 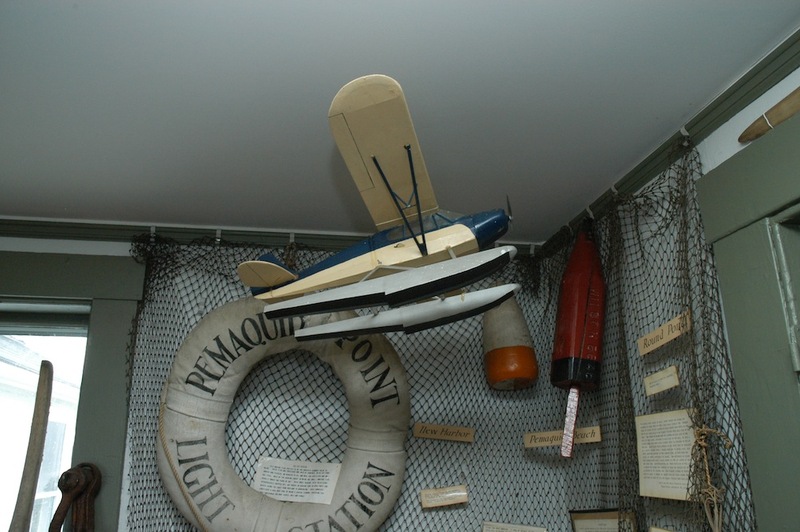 be floated from the cargo ship to a ramp extended down onto the rocks. 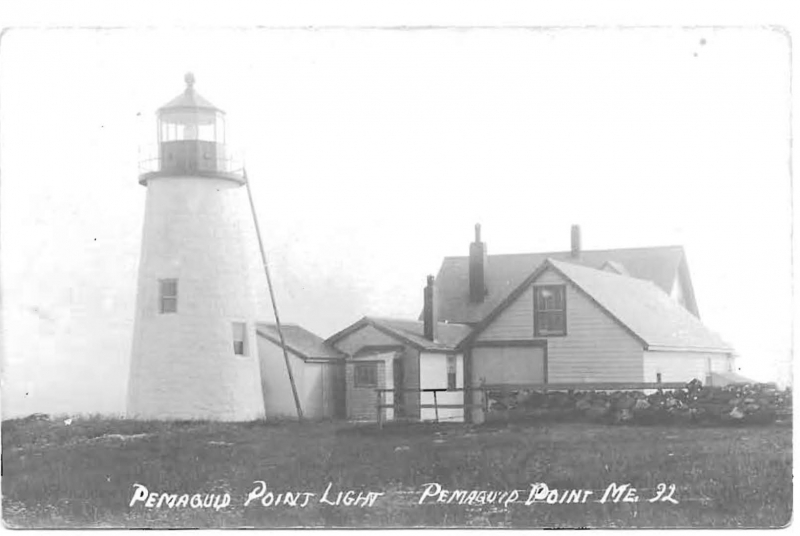 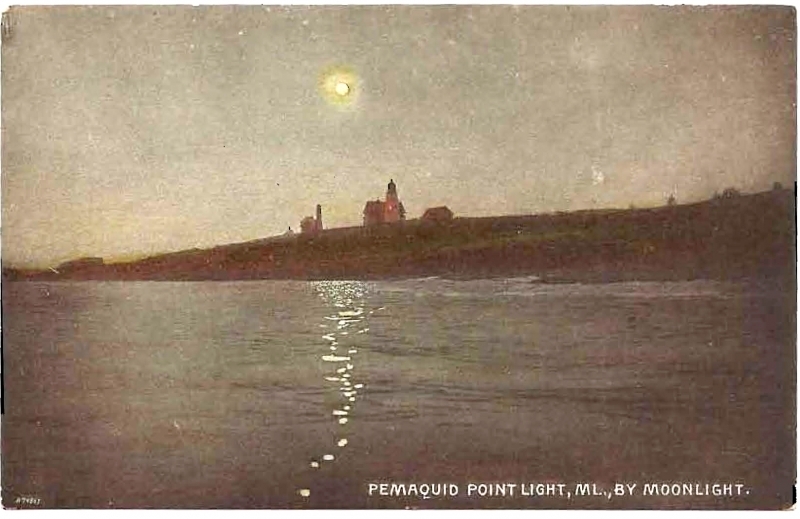 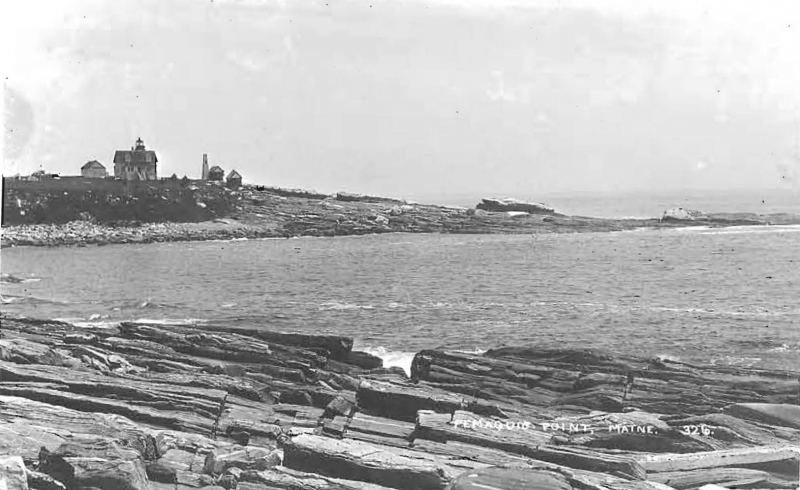 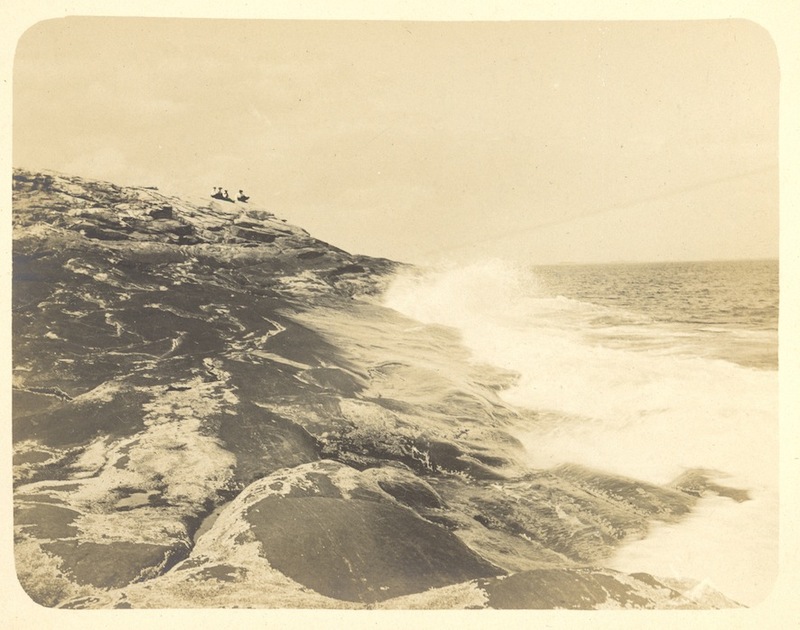 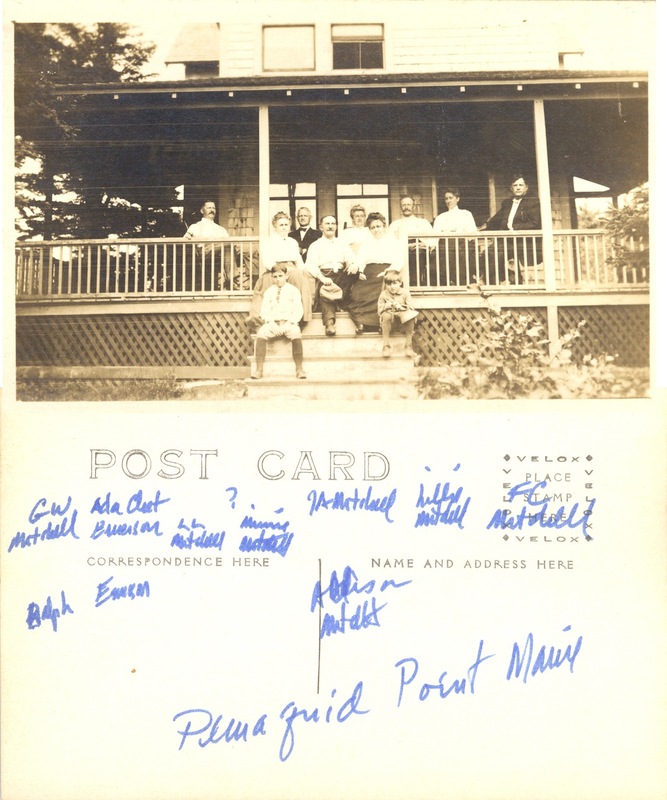 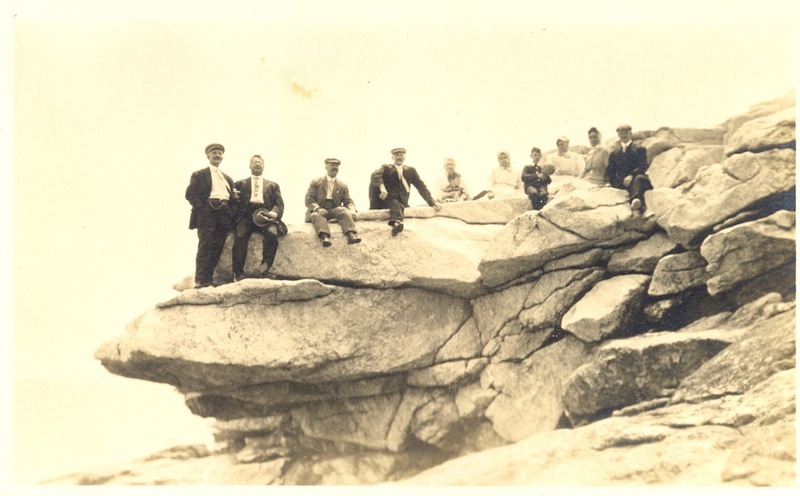 At the time the Pemaquid Point Light Station was automated on October 1, 1934, the light was fueled by gas. 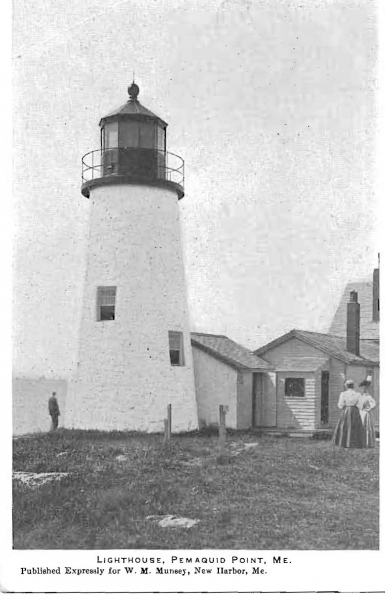 Later the light was fitted with 250 watt electric bulbs inside the Fresnel lens. 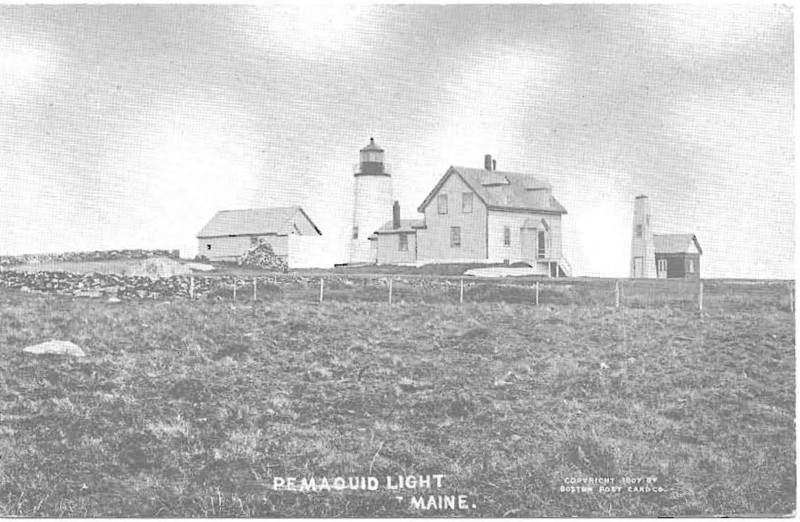 The 250 watt bulb was made especially for lighthouses and was fitted with a four bulb changer, which turns automatically when a bulb burns out. 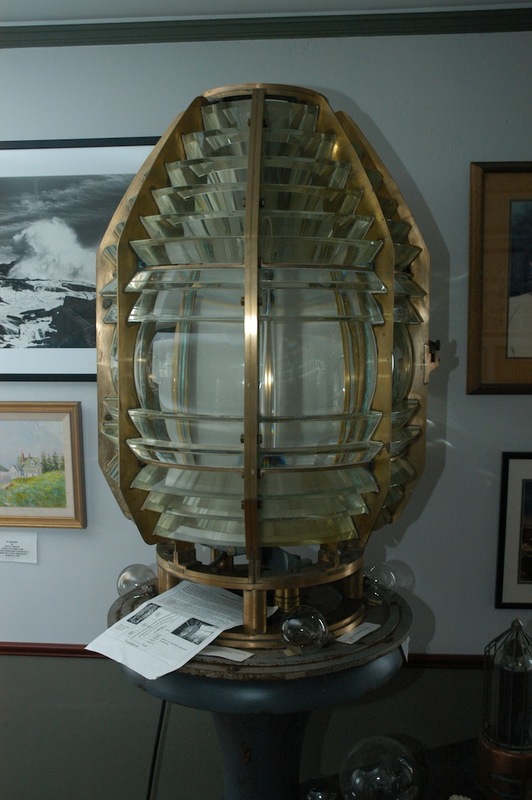 An identical Fresnel lens, formerly of Baker’s Island Light, is on loan from the Coast Guard and is on display in the Navigation Room of the Museum. 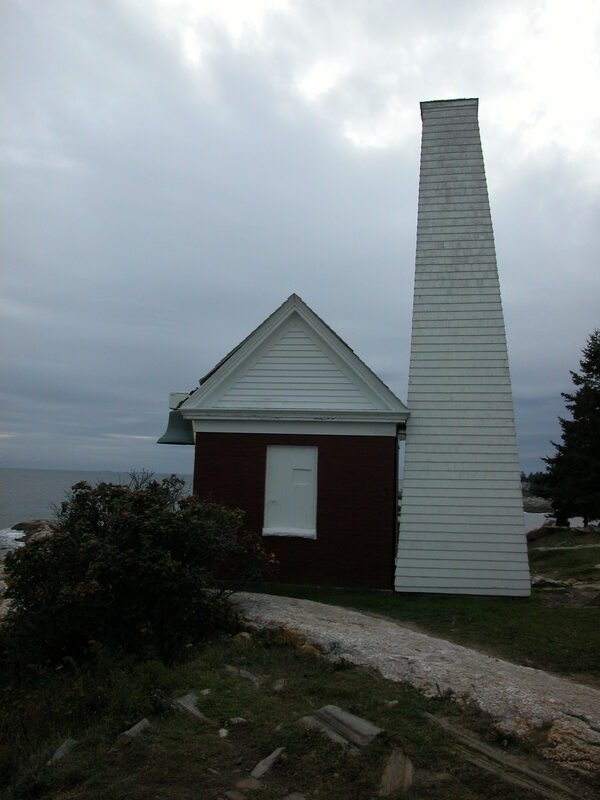 In the event of a power outage, a series of electric batteries are equipped at the foot of the tower. 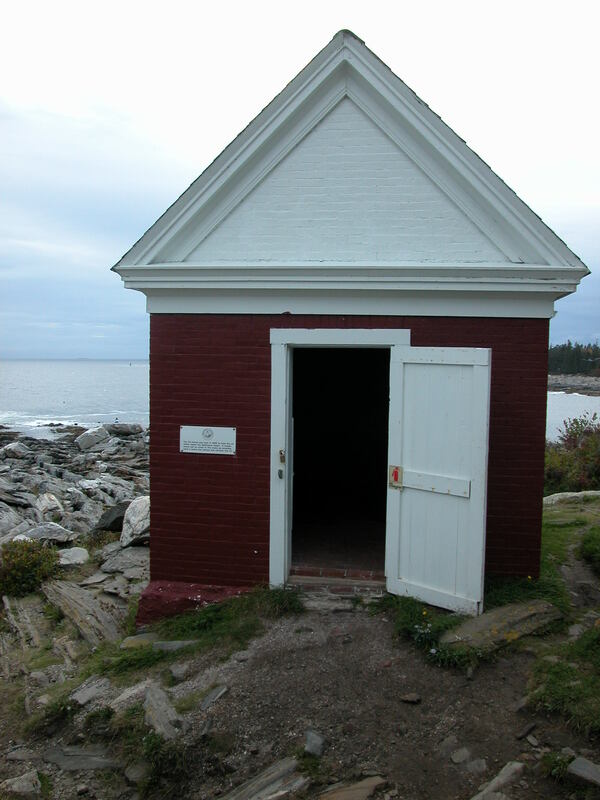 In 1897, a brick engine house was built on the south side of the Tower to accommodate a hand operated fog bell. 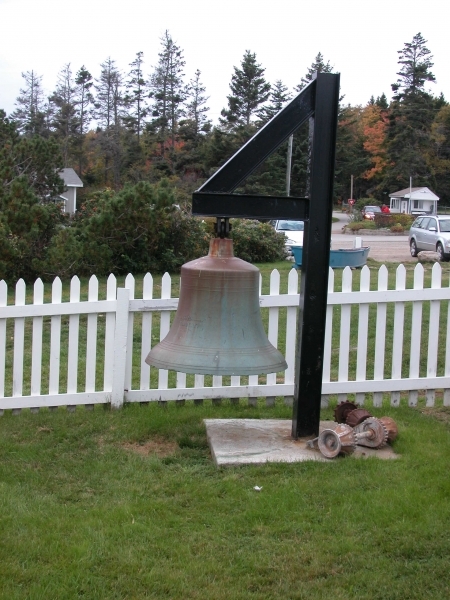 The following year, it was replaced by a new bell that ran with duplicate Shipman oil burning steam engines to ring it. 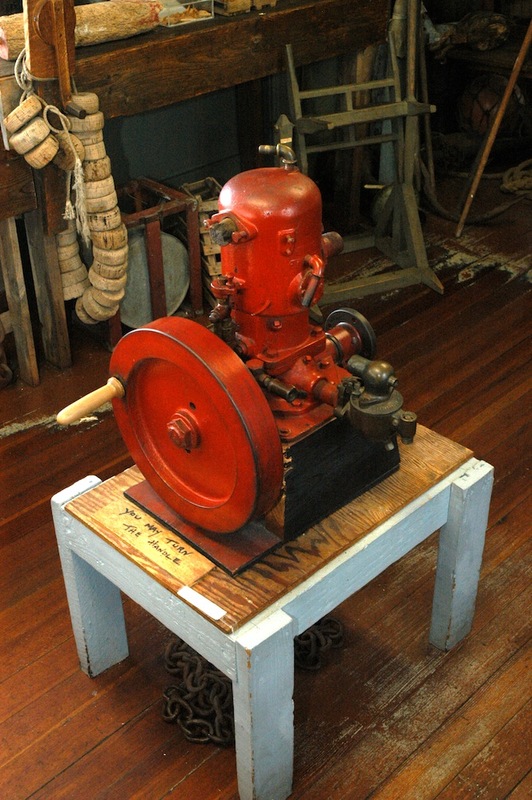 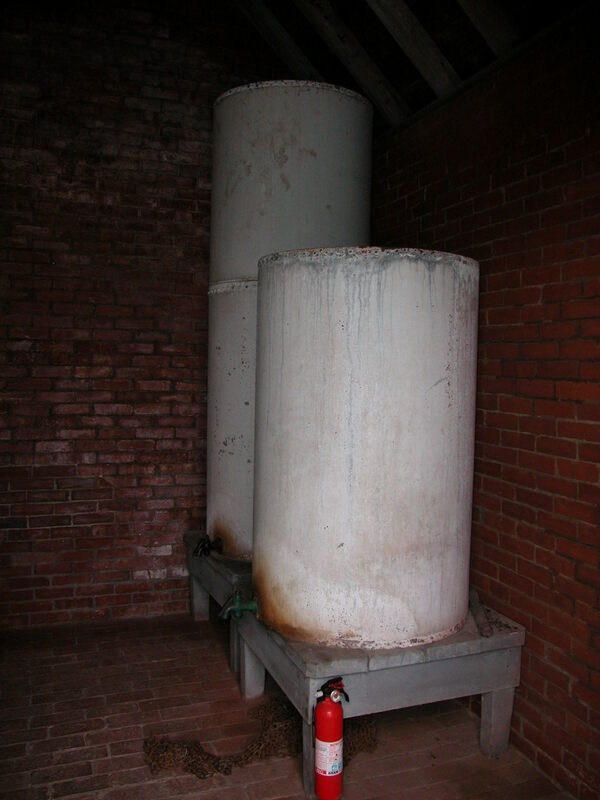 This system lasted one year, after which it was replaced by a Stevens striking machine, for which a wooden tower was built to house the weights. 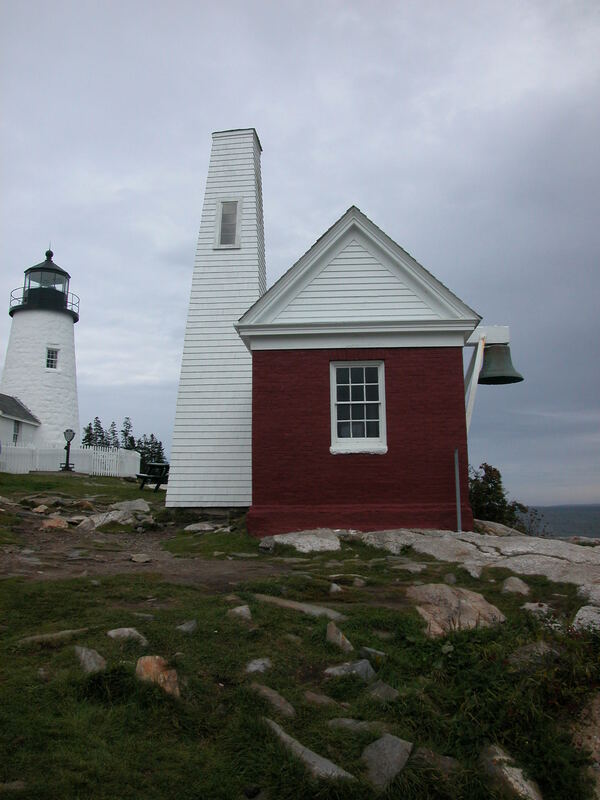 The light keeper, at the onset of fog or poor visibility, would wind up the Stevens machine, which brought the weights to the top of the bell tower. 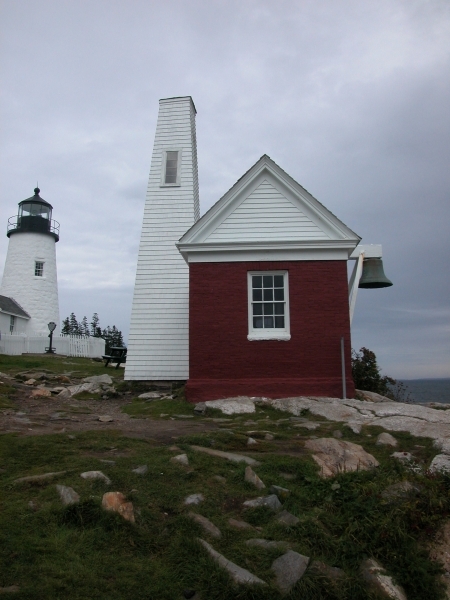 The bell rang a regular intervals for six to eight hours as the weights slowly decended. 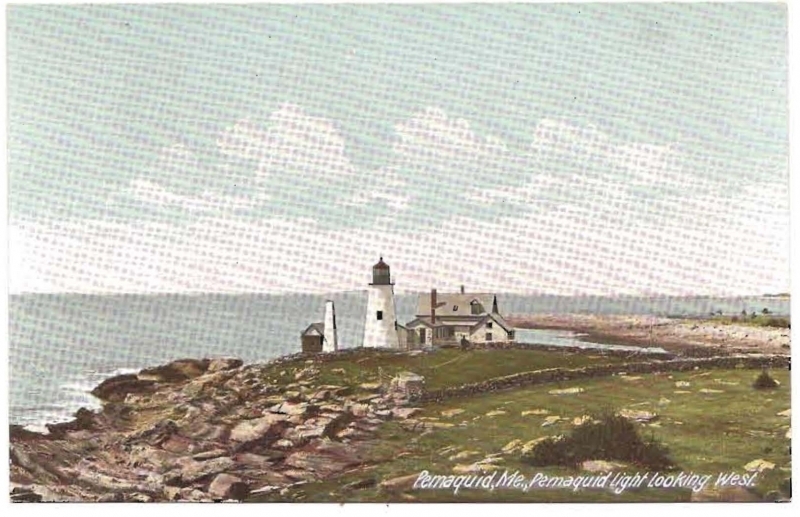 The fog bell was removed in the 1930’s. 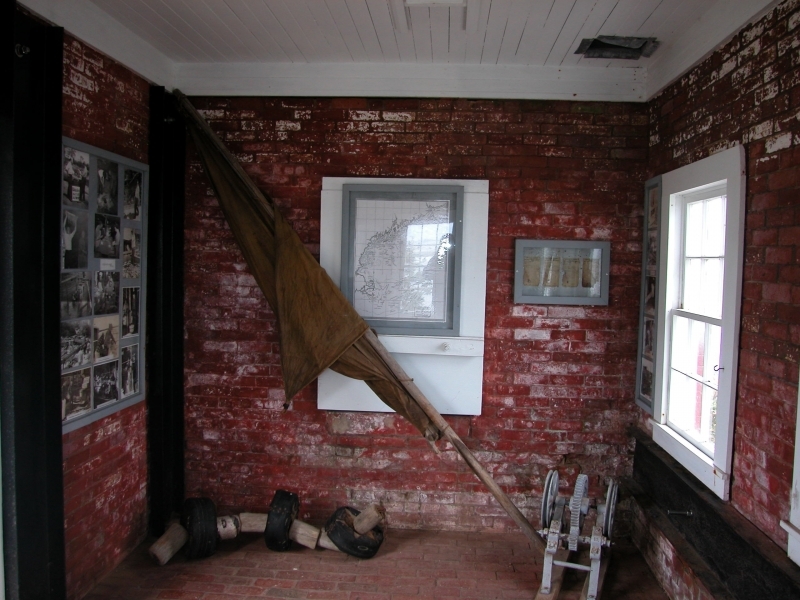 The engine house and tower were heavy damaged by two storms in 1991, but were restored by the Fishermen’s Museum the following year and now house displays. 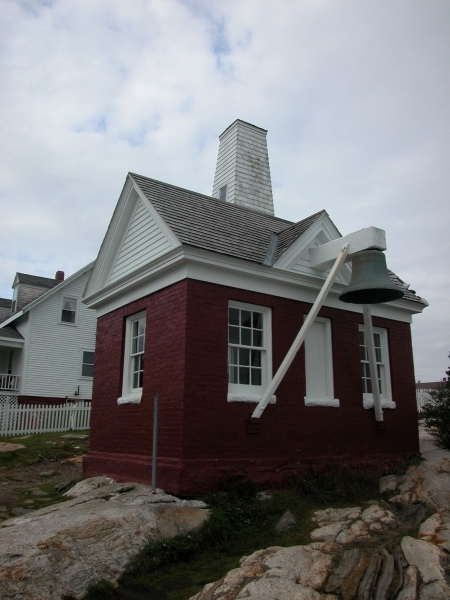 The original fog bell was removed by the Coast Guard in 1937. 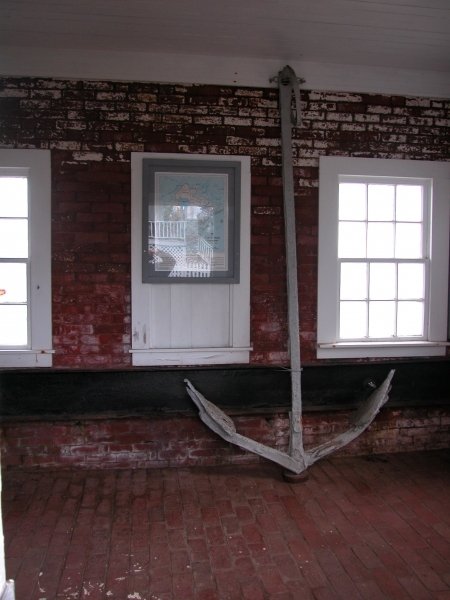 Through efforts by the Museum and others, a smaller replica bell was donated by the Coast Guard and hangs off the brick bell house. 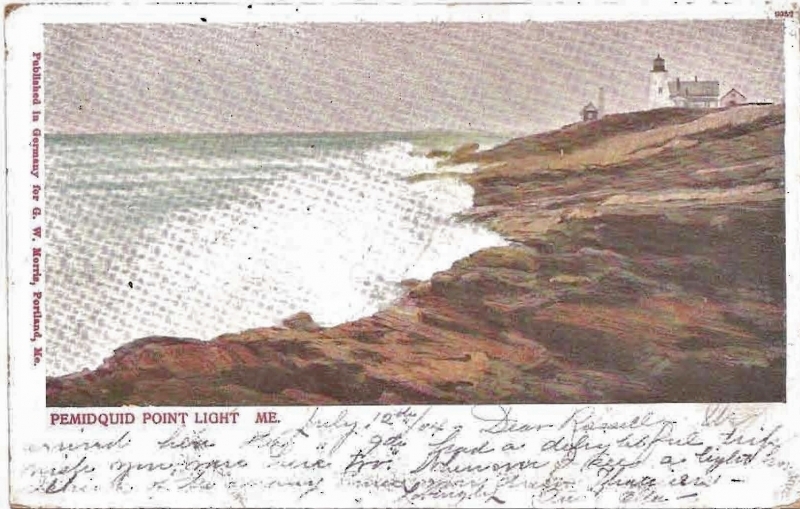 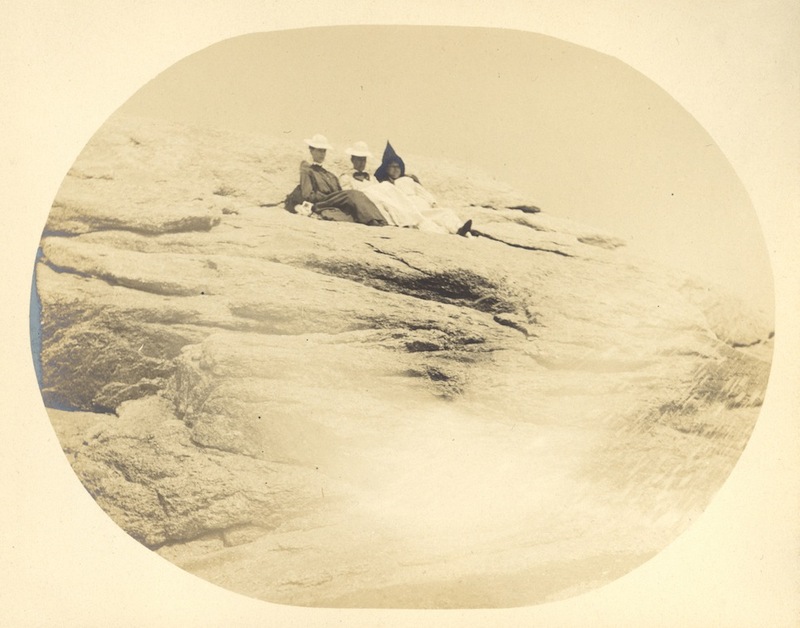 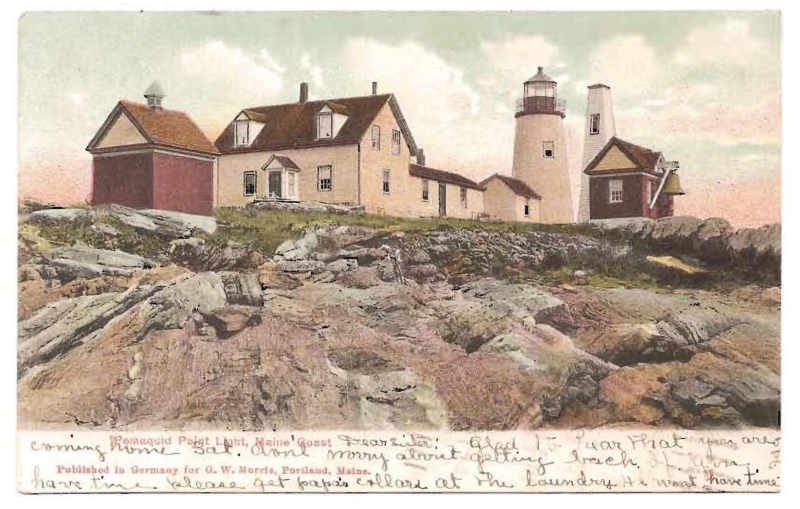 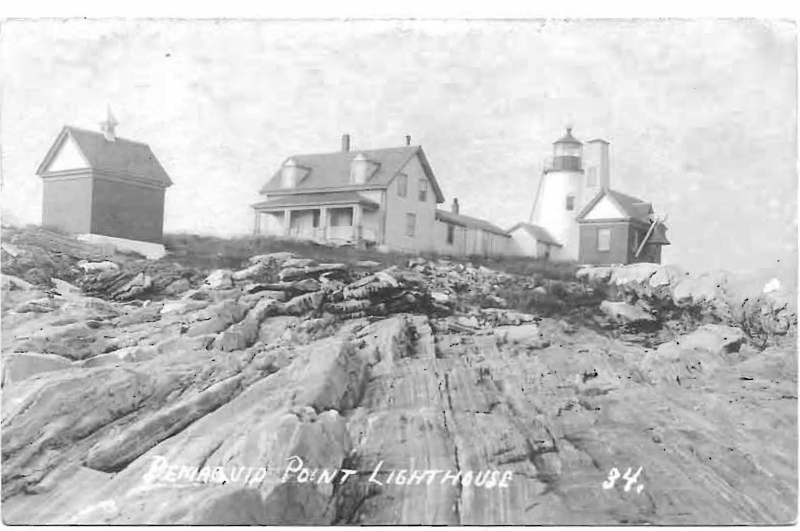 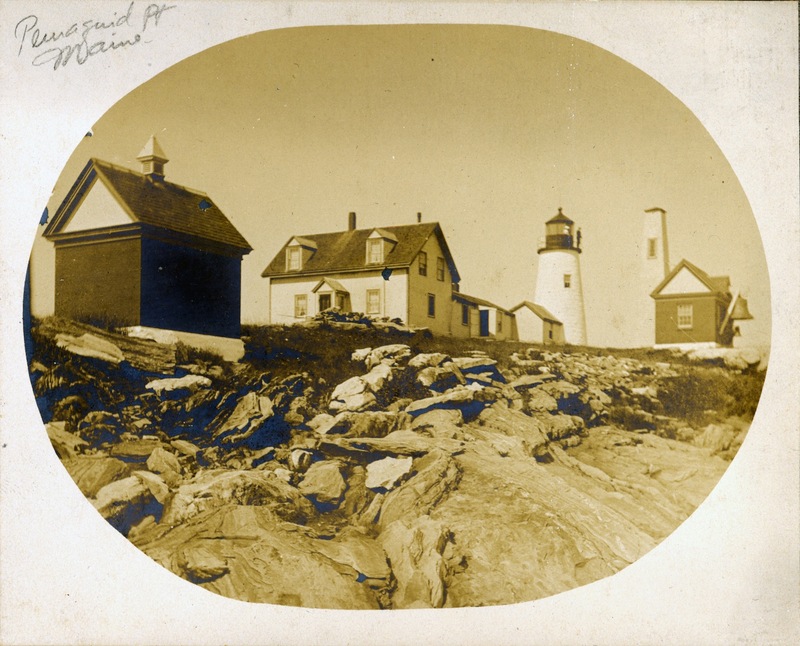 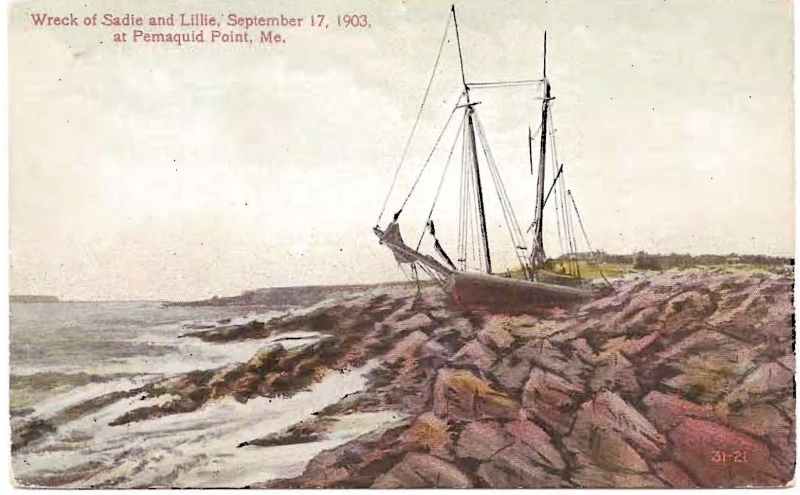 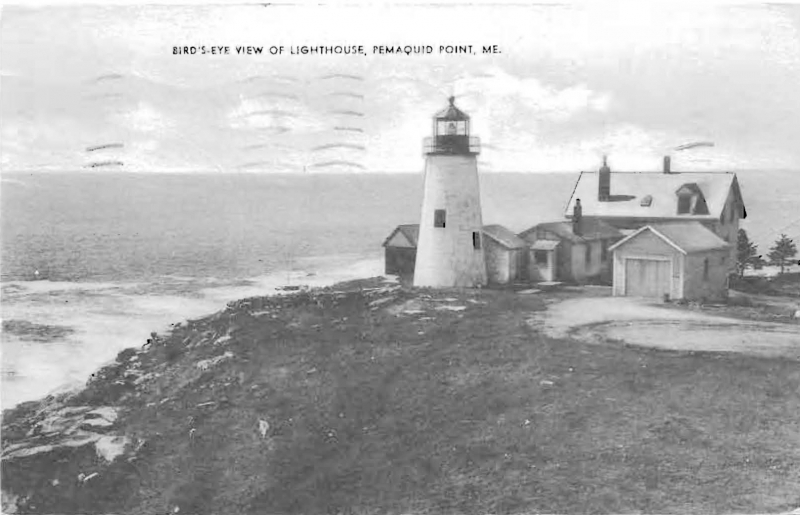 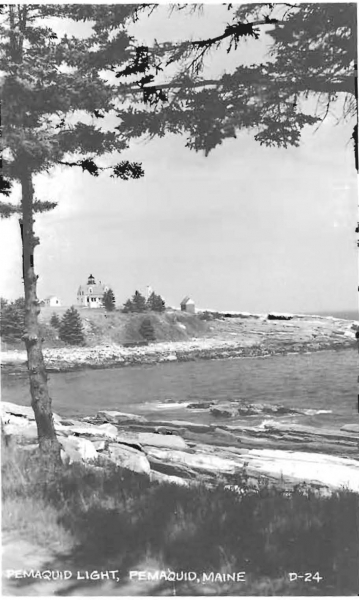 Once the lighthouse was no longer manned, a gong buoy was moored off Pemaquid Point to replace the stationary bell at the light.